Working with wine collectors can be a rewarding and fulfilling career choice. Most people with extensive collections are very busy individuals, and there comes a time when their passion for fine wine can become a hassle. As their trusted adviser, my role is to streamline their input to the parts they love most – usually purchase and consumption. We are often first called in when someone has lost control of their personal wine collection. They think they have a few cases of Romanée-Conti, but can’t get to it, and have no idea what vintage it might be. We start with an inventory and at the same time physically reorganise the cellar so that there is a logical flow. We also discuss the client’s preferences at length. Once we have this picture, we review their cellar. We often find, especially with a new collector, that by the time the drinking window of their early purchases arrives their tastes have moved on. Our job is to identify where they are now, where they are likely to be in five, 10 and 20 years’ time, and to structure their cellar accordingly. This involves both culling existing stock by selecting items to sell on through a broker or at auction and re-stocking. Another significant part of the job is authentication. Maureen Downey, with whom I have worked for several years, is the founder and owner of cellar management and authentication company Chai Consulting, and is known worldwide for her expertise in this area. We may identify suspect wines in an existing client’s cellar, or someone may come to us specifically for authentication. It is never pleasant to tell a client they have fake wine, but success in my job depends on knowing what is real and what is not. 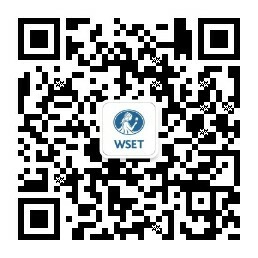 I have found WSET qualifications a very solid basis for all aspects of my work. Maureen Downey says she hires people with WSET qualifications because “it is a baseline of global wine knowledge that is necessary for anyone wanting to work with fine and rare wine”. She adds “because we are interacting with clients, you need to have that global, rounded perspective on wine styles and trends to be able to communicate confidently.” We have one MW on our team, Sheri Morano MW, and her clients love to know they have a Master of Wine working for them. Beyond formal qualifications, to be credible you will need significant experience working with fine wine, understanding how to handle it, recognising vintage characteristics, and having a depth of knowledge that can provide sound strategic advice for clients’ cellars. Many professionals who work with collectors start out working at auction houses, fine wine merchants, or as sommeliers. I read auction catalogues voraciously. I also ensure I attend tastings of investment grade wines, to be able to recognise vintage characteristics and understand how a wine is likely to develop. In particular I make it a point to attend the annual UGC tasting and Institute of Masters of Wine’s annual Claret tasting, which give very good pictures of the wines two and four years later. For wine authentication, it is more a case of learning on the job, understanding what is happening with anti-counterfeiting measures, and keeping your eyes open for the “tells” of particular counterfeiters. You must be a person of the utmost integrity. You will be working with a client’s treasured collection, often in the client's home, and they must trust you absolutely. They must also know that you are working for their best interests at all time. You will need a great deal of quiet confidence. Very rich and very successful people have hired you as an expert. It is essential not to come across as arrogant, but to be able to explain your point well, and show them that you do merit the fees you are charging. Diplomacy is essential. Our clients are used to getting what they want, and sometimes, we need to explain things to them they do not necessarily want to hear, from why heat-damaged bottles will not have much of an auction value, to the fact that their prized double magnum of Romanée-Conti 1945 was in fact never produced. We also work with people at difficult stages of their lives. Debt, divorce and death are the most common reasons for selling, and we need to be sensitive to the emotions and practicalities involved in that. This can range from conducting an inventory with both parties’ lawyers present at every phase, to consoling a grieving family who may have very different reactions to the sale of the cellar. The children may see it as the last tie to their father, while the wife may feel the wine collection was his mistress, and she is only too glad to see it go.